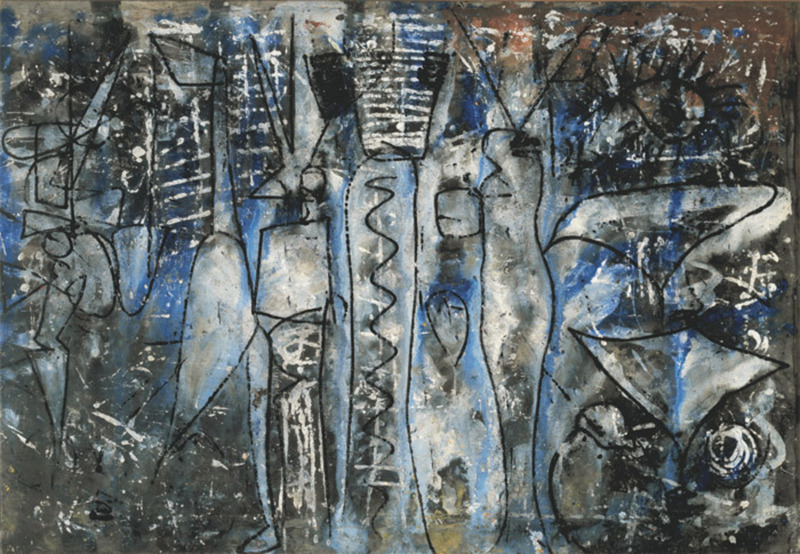 Richard Pousette-Dart, Angel Forms, 1952–53, oil on linen, 44 x 62 1/2"
Sanja Iveković, Sweet Violence, 1974, still from a black-and- white video, 5 minutes 56 seconds. 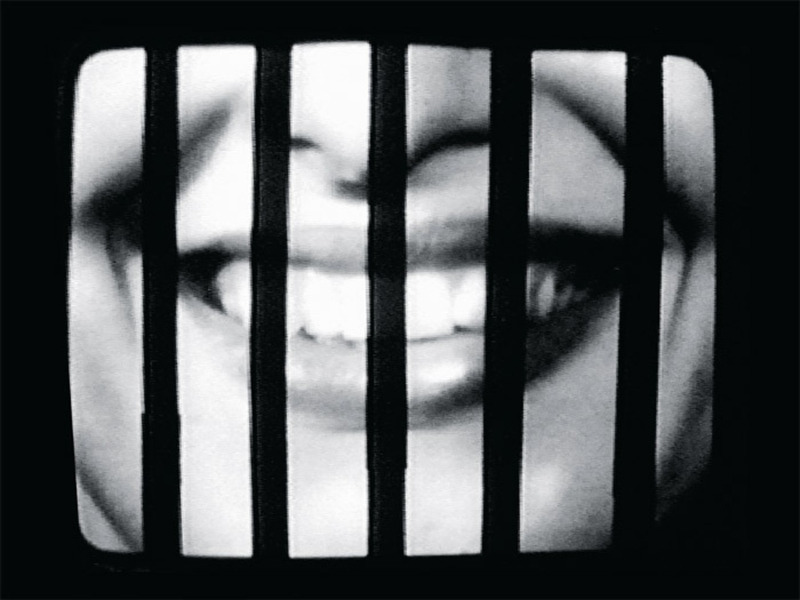 Croatian artist Sanja Iveković’s works, which range from private gestures documented on video to public interventions broadcast on television or erected in a city square, were never intended for museum display. 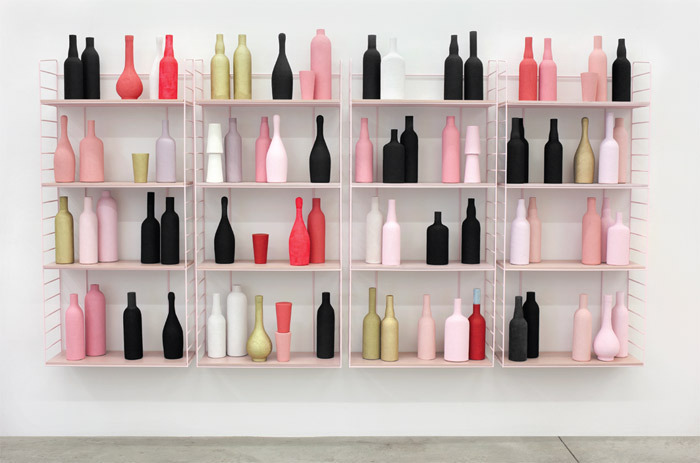 Yet for “Sweet Violence,” the artist’s first retrospective in the United States, curator Roxana Marcoci overcame the challenge of presenting such formally diverse works in an institutional context. At once the starting point and the centerpiece of this exhibition, the large-scale Lady Rosa of Luxembourg, 2001, emblematized this successit actually seemed made to fit MoMA’s atrium. View of “The Wedding (The Walker Evans Polaroid Project),” 2011–12. Jess, “Danger Don’t Advance,” Salvages IX (last painting), ca. 1990, oil on canvas, 44 x 18 3/4". From the series “Salvages,” ca. 1970–94. Like Buster Keaton, Donald Baechler nimbly treads an elegant path between the banana peel of the obvious and that of the obscure; one slip and his work falls into comedic bathos. But, by the merest breadth, Baechler is always saved despite an often cloying imagery of cartoony faces, toys, and children’s-book illustrations. 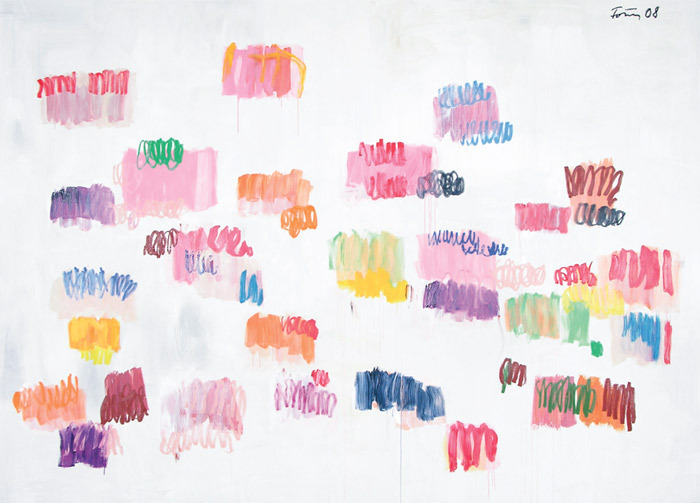 And, then, after what could easily be an awkward face-off between the artist’s self-reflexive subject the viewer’s awareness of its purely pretextual role, the work alights without fail on the side of refinement and tact. 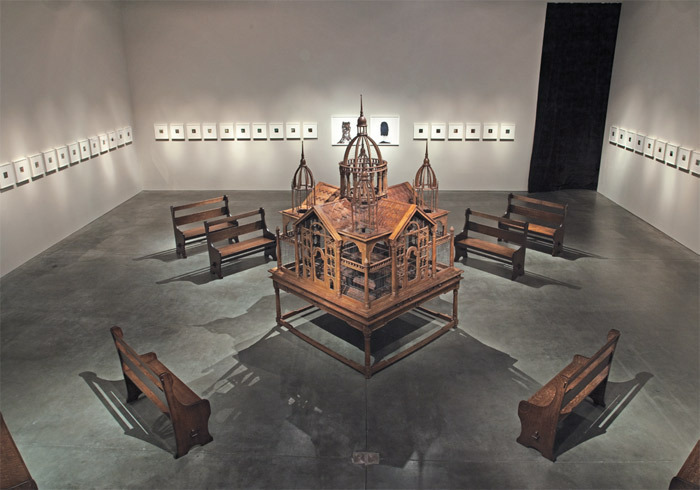 June Leaf, Untitled (Theater), 2010–11, mixed media, 53 x 23 1/4 x 36". 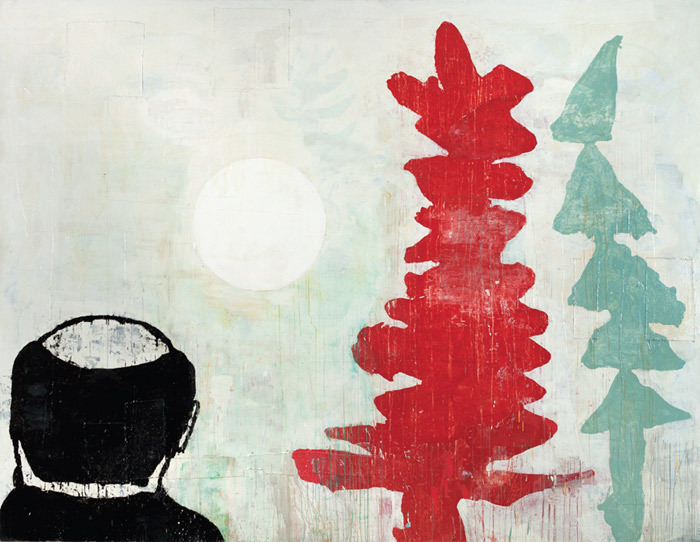 Günther Förg, Untitled, 2008, acrylic and oil on canvas, 9' 6 1/8“ x 13' 1 1/2”. 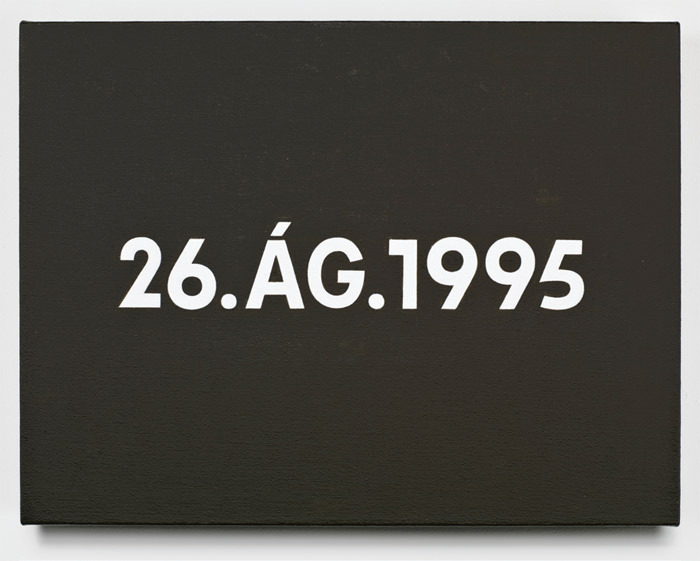 On Kawara, 26. ÁG. 1995, acrylic on canvas, 10 x 13". From the series “Today,” 1966–. Zefrey Throwell, Ocularpation: Wall Street, 2011, still from a color video, 19 minutes 58 seconds. 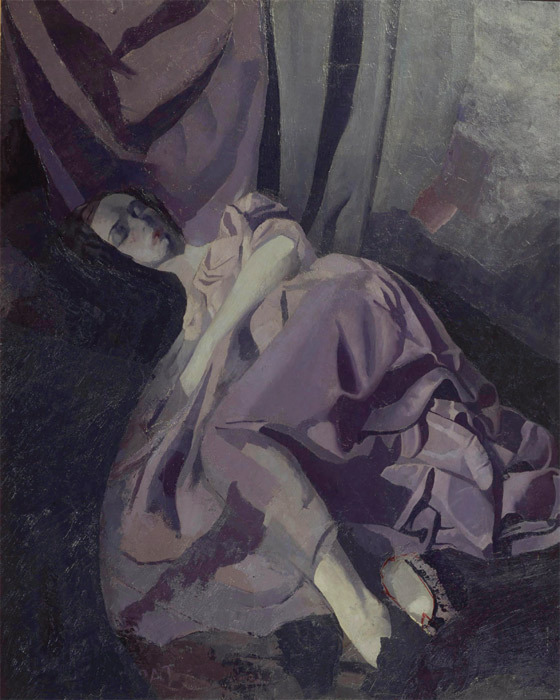 Edwin Dickinson, Frances Foley, 1927, oil on board, 50 x 40". Greg Parma Smith, Poseurs 4, 2011, oil and gesso on canvas, 36 x 48". 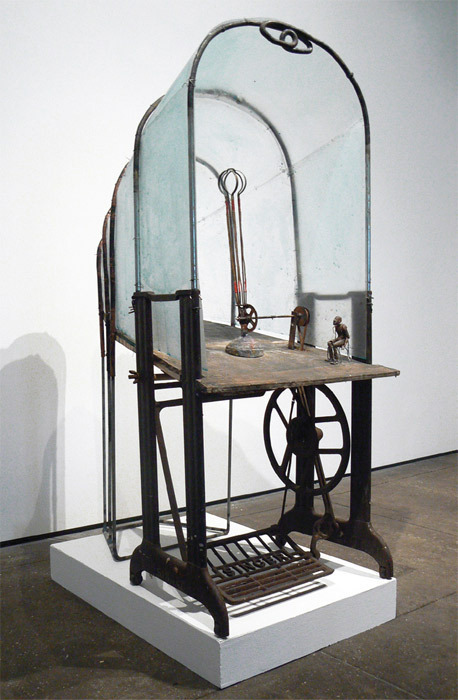 Matthew Brannon, Early Retirement, 2011, metal, wood, hand-carved high density foam, acrylic, enamel, 56 1/2 x 111 1/4 x 9". 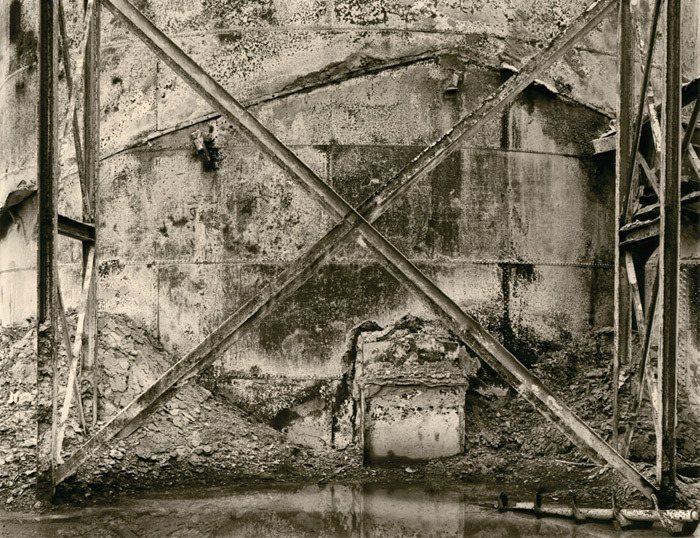 Robert Bourdeau, Pennsylvania, USA, 1997, black-and-white photograph, 10 5/8 x 13 7/8". 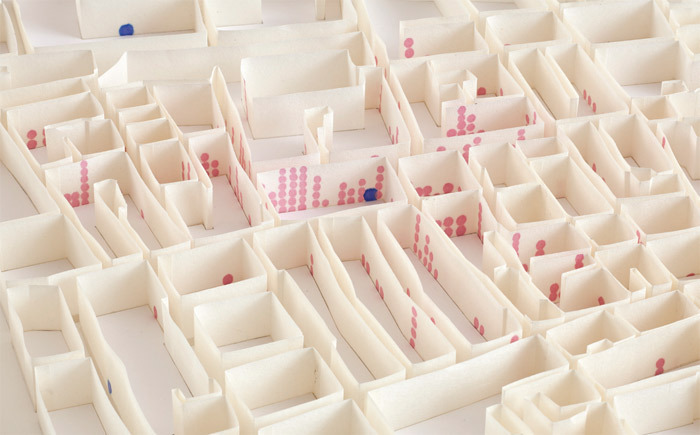 Matthew Picton, “Ghost Map” The 1854 London Cholera Epidemic, 2011, archival Japanese absorbent paper, 32 x 32". A map, reductive by definition, is full of ghosts. Matthew Picton engages these specters with paper sculptures that add a third dimension to the map and in various ways give form to imaginary cartographies of history. Indeed, he renders his maps four-dimensional by referring to the passage of time.